The first thing I got was the Anastasia Beverly Hills Brow Wiz in the shade soft brown. I've been dying to purchase some ABH products so I'm really excited about trying this out! This is a highly recommended product and from first impressions I see why. 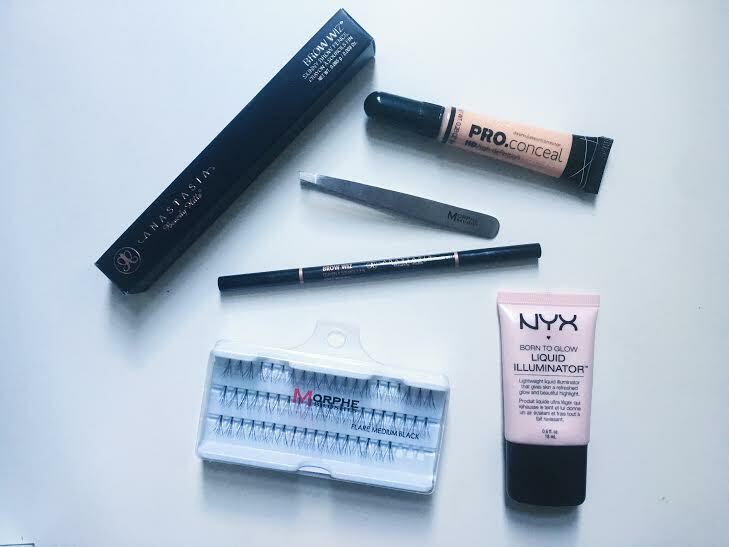 The pencil is easy to build up which makes it much easier to achieve natural looking brows. I don't know why I didn't get this sooner as it has really helped defined my brows and shape them to look more even. I absolutely love the packaging too and I can't wait to buy some more ABH products, particularly the brow gel! This concealer from LA Girl is only £5. From looking at online swatches I got the shade that people with my skin tone recommend for brightening the undereye, which is the shade natural. When I first swatched it the colour looked so pink compared to anything I had ever used but it blended out really nicely onto my face and it looked like a completely different colour. It matches my skin really well and I intend on using it for brightening but it does conceal really well. I've seen some people also using these for contouring which I might try as they are a good price but they are still very creamy and pigmented. NYX has some amazing products and for the price, this highlighter is great. It is similar to benefit high beam but is more glittery than luminous. A little goes a long way with this highlighter as it is very pigmented. It doesn't last very long though, I'd say it lasts about 4 hours at most but for the price, £7, i'd still recommend it. I was in major need of some new tweezers, so I ordered these Morphe ones for around £3.96. I also got some Morphe lashes for £1.50 as I'm trying to get into lashes but I'm still not a fan. They look nice and are easy to apply as they are individuals but I can't see myself using them for anything other than nights out.